In this 2016 work, Mathew Weiss analyses Turkish-Kurdish relations and peace process breakdown within the framework of ‘securitization’ theory. The author argues that three key catalysts should be considered, namely: Turkey’s stalled accession process to the EU; the growing threat posed by pro-Kurdish parties; and the Syrian conflict’s spillover effects. CEI-IUL researcher Marco Marsili goes over the political motivations of the successful expansion of the Islamic State (ISIS) in Syria and Iraq, as well as the role played by regional governments. In this 2015 article, the author contrasts Turkey’s attempt to resurrect the Caliphate and to assume a leading role in the Islamic world, with ISIS’ aim of founding a ‘globalized Caliphate’. Written by Ahmad Jansiz, Saeed Sadeghi, Jalal Mirzaei, and Mustafa Tarin, this 2016 work looks into the obstacles to Turkey’s EU accession posed by its cultural and social barriers. The researchers conclude that if such goal cannot be achieved, the following alternatives remain: active involvement, becoming a bridge between East and West, or becoming an ordinary neighbor to Europe. In this 2014 study, Laura Bastos and André Barrinha address the internal and external developments that took place in Turkey in the same year. The authors argue that while President Erdoğan managed to tighten his hold on power amid growing opposition and corruption scandals, he struggled to create a coherent foreign policy strategy to deal with the escalating conflicts in Syria and Iraq. 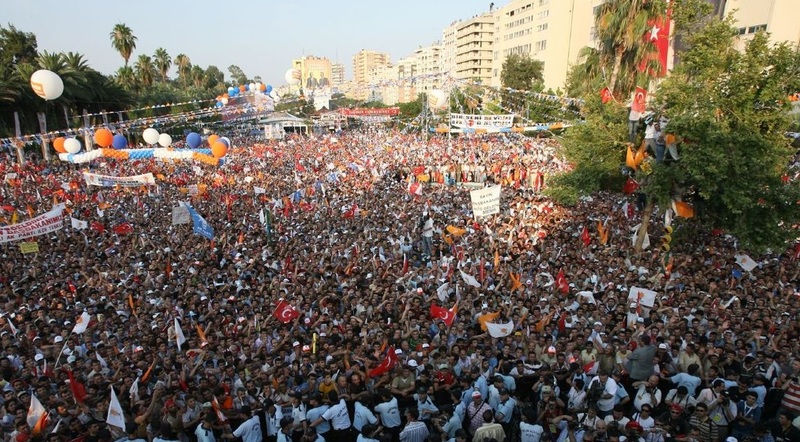 This 2015 article, by Bilgin Ayata, looks into changes in Turkish policies and interests in light of the Arab uprisings. According to the author, the latter have contributed to the country’s consolidation as a regional actor, despite the shortcomings of its actions. Özlem Tür’s 2011 work examines Turkey’s economic relations with its Middle Eastern neighbors during the 2000’s, arguing that the AKP is responsible for the observed increase in trade in the region. It also tries to predict the future of these economic relations, as well as its possible drawbacks. Birol Yeşilada examines, in a 2016 article, the contrast between the political and economic changes that were proposed by the AKP when it came to power and the current state of affairs – defined by deep social cleavages and democratic regression. In this 2016 article, Beken Saatçioğlu looks into the political dynamics of the ‘De-Europeanization’ of the Turkish judicial system, a topic discussed in terms of legislative changes and shift in discourse, using rule of law as a study case. The study also emphasizes the limitation of Europeanization accounts that are centered in the mechanism of conditionality, and the benefits of EU accession. Authored by Özlem Demirtas-Bagdonas, this 2014 article examines the correlation between Turkey’s self-image, power, and regional role, and the country’s official discourse – moralist in nature and focused on national security – regarding the Syrian conflict. Gül Aldıkaçtı Marshall addresses, in a 2010 article, the rejection of an amendment to Turkey’s Constitution sponsoring gender quotas by analyzing the press coverage on this issue, concluding that the media portrayed the issue as being a matter of preferential treatment or positive discrimination.